Former Florida State defensive tackle Timmy Jernigan and LSU quarterback Zach Mettenberger failed drug tests at the NFL Scouting Combine, according to multiple media reports. ProFootballTalk.com reported that Mettenberger tested positive for having a diluted urine sample, which counts as a failed test under the NFL’s drug program. Mettenberger’s agents said that the diluted sample was caused by him drinking extra water to combat dehydration. Jernigan’s failed test was also due to a diluted sample. Florida State linebackers Telvin Smith and Christian Jones, LSU defensive tackle Anthony Johnson and Miami tackle Seantrel Henderson were among more than 10 players who also failed drug tests at the combine, according to Fox Sports’ Jay Glazer. 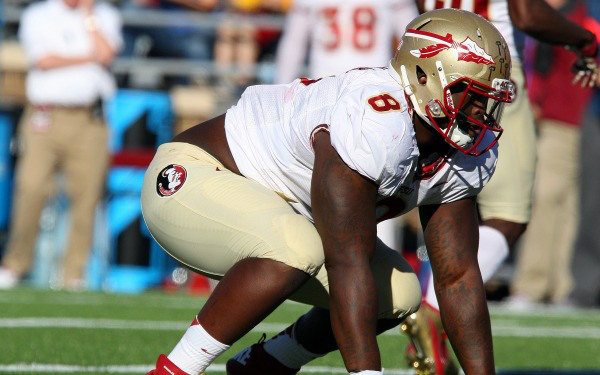 Jernigan had 63 tackles and 4.5 sacks last season, earning AP second-team All-American honors for the national champion Seminoles. Jernigan is projected to be a first-round selection in this week’s draft. Mettenberger, who is recovering from a torn ACL, ranked third nationally in passing efficiency last season and threw for 3,083 yards with 22 touchdowns and eight interceptions. You are currently reading Report: Zach Mettenberger, Timmy Jernigan failed drug tests at NFL Combine at ARE YOU NEXT.